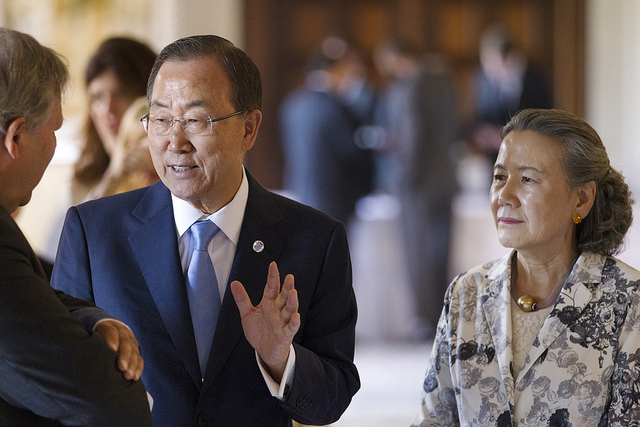 United Nations Secretary-General Ban Ki-moon flew into Brussels Tuesday (14 June) for 48 hours of development policy debate at the 10th annual EU Development Days. Ban – who spent yesterday visiting a soup kitchen for refugees in the Belgian capital – arrives in town on the back of his debut inauguration of the UN’s World Humanitarian Summit last month in Istanbul. The summit was criticised for being held in Turkey and was boycotted by health NGO Médecins Sans Frontières (MSF) after the bombings of their staff in 75 hospitals in war zones over the previous 12 months, calling it “in violation of the most fundamental rules of war”. Nor did six of the G7 leaders find time to attend, with only German Chancellor Angela Merkel making it to Istanbul. The 10th EU Dev Days is the first major talking shop and conference platform since then, and sees two days of debate and policy examination over Wednesday and Thursday (15-16 June). An EU spokesman for Oxfam told euractiv.com, “We will question Europe’s response to the migrant and refugee crisis, which we believe risks jeopardising European development aid and attempts to outsource to third countries Europe’s obligations to respect human rights. Meanwhile, ActionAid go into the conference having published a report, The Price of Privilege, explicitly influenced by the Occupy and 1% movements, in its focus on inequality and tax avoidance in rich countries. One debate focuses on how the IMF estimate of around $200 billion lost in the developing world by the tax practices of rich country corporations is more than the annual global aid spend. 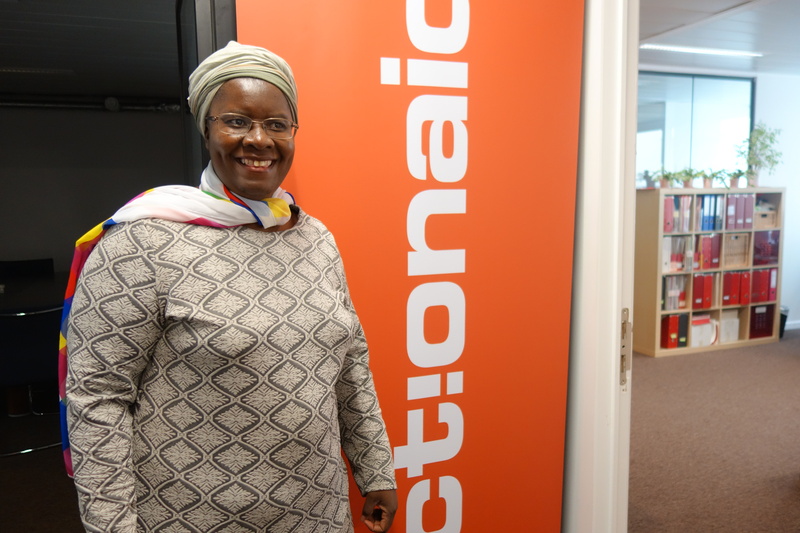 Ahead of this year’s European Union Development Days, the NGO ActionAid is focussing on the issue of inequality, with the launch of the report, The Price of Privilege. Whist EU Development Commisioner Neven Mimica has demanded that conference “focused on results…turning the UN SDGs from commitments into actions”, the major pre-announced initiative is an EU-Ethiopia “Strategic Engagement” to be signed between Jean-Claude Juncker, the EU President, and the Prime Minister of Ethiopia, Hailemariam Desalegn. Addis Ababa has come under heavy criticism from bodies such as Human Rights Watch for its killing of protestors during protests in the Oromia region, and the lack of an independent and free media. euractiv.com’s partner, The Guardian, reported last week that other Horn of Africa countries, including such authoritarian regimes as Eritrea, as well as Sudan, could be in line for EU help in return for helping stem migration flows from Africa. EURACTIV has repeatedly heard from NGOs and development professionals that access to the ground in Ethiopia to deliver food-aid to millions the El Niño drought-stricken country is dependent on not being seen to criticise the government publicly – an allegation none was willing to be quoted on. Desageln is also in Brussels to open the country’s new embassy. The deal, which comes on top of the EU’s Emergency Trust Fund for Africa, was said by Commission officials to “reflect the EU’s strong relations with Ethiopia, emphasising Ethiopia’s crucial role in Africa and the international community and its significant socio-economic development. 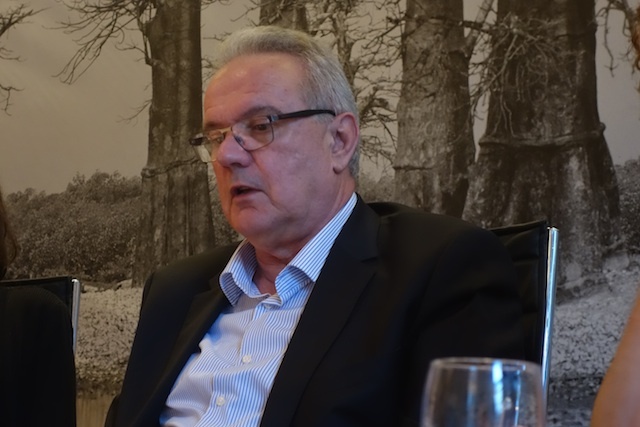 In an interview with euractiv.com in Senegal last month, Mimica admitted the EU’s flagship Emergency Trust “might not be a game-changer” in discouraging migrants – both economic and refugees – from heading from conflict-torn or climate-hit African nations to Europe. Attendees from the developing world include Uhuru Kenyatta, President of Kenya, as well as leaders of Mauritius, Burkina Faso, the Central African Republic, Samoa, Ethiopia and Timor-Leste. From the EU side, nine Commissioners will be in attendance, including EU foreign policy chief Federica Mogherini, Neven Mimica (international cooperation and development), Dimitris Avramopoulos (migration) and Christos Stylianides (humanitarian aid). Others Commissioners include Jyrki Katainen (jobs and growth), Andrus Ansip (digital single market), Cecilia Malmström (trade), Miguel Arias Cañete (climate and energy), as well as Karmenu Vella (environment and fisheries). There are more than 500 speakers over the two days, debating issues such as post-Contonou agreement priorities, urbanisation in Africa and coffee and commodity price-dependency. Ban will then travel from Brussels to Greece on Friday, for talks on the migration crisis with the government. The UN chief will then travel to the flashpoint island of Lesbos on Saturday to meet with refugees. At the visit to the Brussels soup kitchen, Ban said, after meeting refugees from Syria, Afghanistan and Iran, “This is a heartbreaking situation. 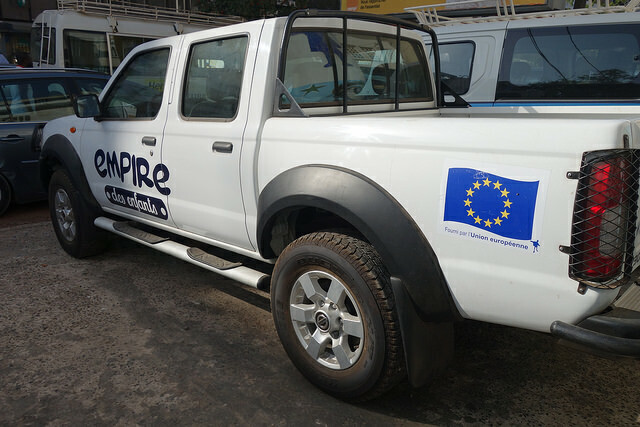 One event unlikely to be discussed is the imminent possibility of Britain, one of the EU’s leading aid donors, leaving the 28-nation bloc in the midst of ongoing negotiations between the EU and ACP on a post-Cotonou agreement. EXCLUSIVE / Actors, scientists and now even historians have put their names forward to argue for Britain to stay in the EU. But with less than four weeks to go to the UK referendum, there has been a resounding wall of silence from key development NGOs on the dangers – or even opportunities – posed by a Brexit. Last month, EURACTIV found no major NGOs willing to talk about the implications of the move, despite the UK being one of only three member states to have met the UN objective of spending 0.7% of GDP on ODA.